GOC Ally Pally to Kings Cross 123: Lie Lie Land | Flickr - Photo Sharing! 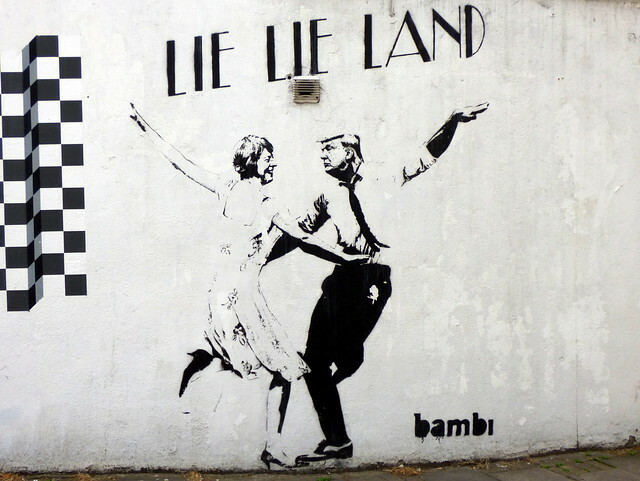 'Lie Lie Land' street art by Bambi, Shillingford Street, Islington, London N1. GOC Hertfordshire's walk on 8 July 2017, a 9.8-mile linear walk from Alexandra Palace to Kings Cross, via Highgate, Finsbury Park, Woodberry Wetlands, Canonbury and the Regents Canal, in London. Andy H led the walk, which was attended by 15 people. You can view my other photos of this event, read the original event report, find out more about the Gay Outdoor Club or see my collections. hanshorst, thanks 173rd Airborne, and 1 other people added this photo to their favorites.